Assam government has decided to grant remission to 201 life convicts lodged in different jails in the state on Good Governance Day. The Good Governance Day is observed every year on December 25 to mark the birth anniversary of former Prime Minister Atal Bihari Vajpayee. 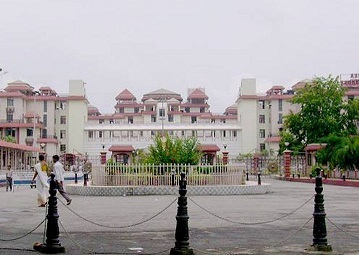 On Monday, chief minister Sarbananda Sonowal approved the remission subject to the fulfillment of conditions as enshrined in the Constitution of India, sections under CrPC, provisions of Assam Jail Manual and as per directions of the Supreme Court of India. On December 25, last year, 31 life convicts were released on remission of sentence under the present government. Good Governance Day was established in 2014 to honor Vajpayee by fostering awareness among the people of accountability in government. On December 23, 2014, Mr Vajpayee, and Pandit Madan Mohan Malaviya (posthumously) were announced as recipients of the Bharat Ratna, India’s highest civilian award. Following the announcement, the Modi government announced that the birth anniversary of the former Prime Minister would be henceforth commemorated annually in India as Good Governance Day. The decision was however criticised by main opposition party, Indian National Congress, for setting Good Governance Day on the same date as Christmas as well as for declaring this date as a government working day.